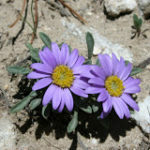 The Montana Native Plant Society will have two awards. The Outstanding Service Award will be given no more than once a year to a member of MNPS for service to the Society. The award will consist of a certificate accompanied by an individualized gift. The Special Achievement Award may be awarded to anyone, member or not, whose work has contributed to the mission and goals of MNPS. The award will consist of a certificate and possibly a small gift. Several Special Achievement Awards may be given in a year at the discretion of the awards committee. Neither award has to be given in any year if the awards committee fails to find suitable candidates. The awards will be presented at the annual meeting of the Society. The call for award nominations will be published in the winter issue of Kelseya and any member may make a nomination. The awards committee must receive nominations no later than April 1. All nominations should include a brief statement about the nominee’s contribution to MNPS and relate why the nominee should receive an award. The MNPS Board has established a policy on how chapters, area representatives, or others can submit comments representing the Society on an issue. Any letter taking a position on an issue should be reviewed by the appropriate state committee chair and the President to ensure there is no conflict with statewide positions. The President will confirm that true representation has occurred and MNPS is reflected in a professional manner. The state committee chair will confirm that the position is consistent with the purpose, goals and mission of MNPS. The President can waive the need for the state committee chair to review the letter if the chair cannot be contacted in a timely manner. MNPS offers a variety of field trips across the state with different levels of difficulty. Please read the field trip description and contact the trip leader with any questions to be sure the trip meets your expectations, physical abilities, and equipment. Some field trips have size limits. Most trip leaders request that you call to reserve a spot and call again if your plans change. Don’t be a no-show at the meeting place if you reserve a spot. Generally, children are welcome on field trips. Ask the trip leader if the activity is appropriate for your children. Be prepared. Wear appropriate clothes and shoes. Bring food, water, extra clothes, raingear, sunscreen, insect repellent, sunglasses, hat, and any other personal gear you might need. Montana weather can change rapidly. Tell a family member or friend where you are going, when you expect to be home, and the name and contact number of the trip leader. If you have a health condition, including allergies, that could affect you during the field trip, tell the trip leader and carry any medications you need. If the field trip is a hike, be alert for obstacles in the trail, like rocks, roots, and downed logs. 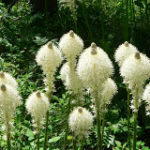 It is easy to trip or slip when you are busy looking at the trailside flora. Be aware of wildlife you might encounter and know how to behave to avoid conflicts. 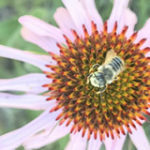 Montana is home to bears, deer, elk, moose, snakes, mountain lions, bees, and many other species that are wonderful to see from a safe distance. Please leave dogs and firearms at home, in fairness to other participants and wildlife. The fiscal year for the MNPS as defined in Article V, Section 5 of the MNPS By-Laws is from January 1-December 31 (note 1). The annual expiration date for renewing membership in the MNPS shall be the end of February each year (note 2). The membership will be sent a postcard by the Membership Chairperson or other volunteer in January reminding them that their membership shall expire at the end of February. If the MNPS Membership Chairperson does not receive the renewal by the end of February, the membership shall expire. Non-renewing members will be sent a postcard reminder in March. If renewal dues are received any time during the following year, the membership will be reinstated. The expired member will receive the spring issue of the Kelseya and the field trip booklet. If membership dues have not been received after publication of the field trip booklet, the member will be dropped from the Kelseya mailing list. The expired member is not eligible to vote in MNPS elections unless the membership is reinstated before the end of the election deadline (note 3). Expired members will receive a final membership renewal reminder the following January. 1. This year timeframe is needed for consistency with the By-Laws. 2. This date would keep the expiration date consistent with page 11 of the Kelseya. 3. This date is usually between June and July, depending on the date of the annual meeting, and is the date the Secretary requests the membership roster from the Membership Chairperson. The President, as directed by the Board, will contact Chapter members advising them that the Chapter is in jeopardy of being dissolved for non-compliance with the intent of the By-Laws. The MNPS President will detail the minimum requirements for maintaining the Chapter, and request a response from the Chapter within 90 days. The response must contain a detailed plan and timeline for rejuvenating the Chapter and bringing it back into compliance with the intent of the By-Laws. If the Chapter does not reply within 90 days, the President or Vice President of MNPS will call the Chapter President requesting a meeting with the Chapter officers. If, at the meeting with the Chapter officers, a plan cannot be developed to the satisfaction of the President or Vice President, or if the meeting cannot be held because of a lack of response, the MNPS officer shall bring the issue to the Board for a vote on dissolving the Chapter. If the Board decides to dissolve the Chapter, the Chapter membership will be contacted informing them of the Board’s decision to dissolve the Chapter and requiring that all records of the Chapter be forwarded to the MNPS Board. In addition, the Chapter will be required to transfer all funds in the Chapter treasury to the MNPS Board for deposit in the MNPS treasury by the MNPS Treasurer.